Mainland UK Shipping (including Northern Ireland & Channel Islands). We aim to dispatch all orders on the same day, but in the unlikely event that this is not possible or the items are out of stock we will contact you and advise you of the dispatch times. Goods will be shipped via 1st Class standard post or 1st Class recorded delivery depending on order size/weight or by Royal Mail special delivery if the order value is over £100. Alternative courier services may be used if required. Delivery will take place during normal office hours and with the exception of 1st Class standard post will require a signature. International Shipping (Europe and Southern Ireland only). All goods, regardless of size and weight will be shipped via Royal Mail International signed for (Alternative courier services may be used depending on the size/weight of an order). Gunpointgear reserves the right to charge more for delivery as appropriate in exceptional circumstances or for very large or valuable irems. 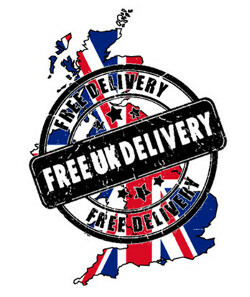 We will always contact you regarding delivery options before making any additional delivery charges.